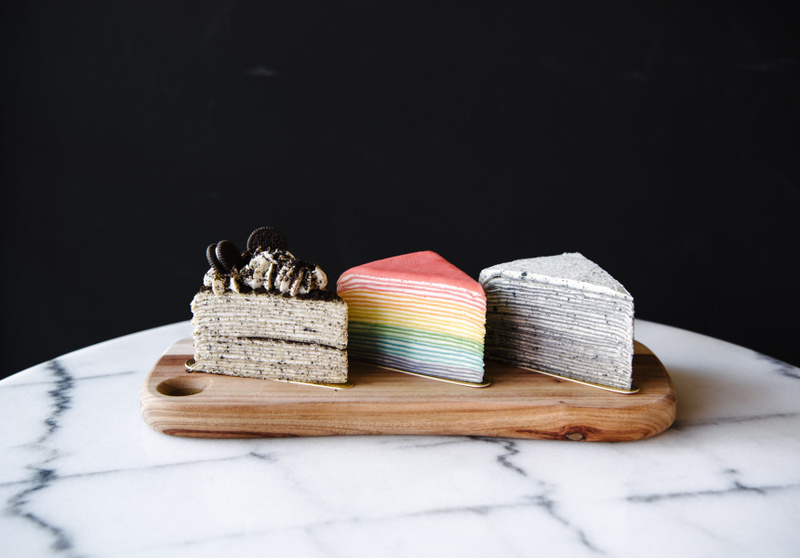 The star dish of JC&Co is undeniably the rainbow crepe cake, which is as much fun to eat as it is to photograph. Twenty-four uniformly perfect crepes, in fairytale colours, are held together by cream laced with mascarpone and vanilla bean. 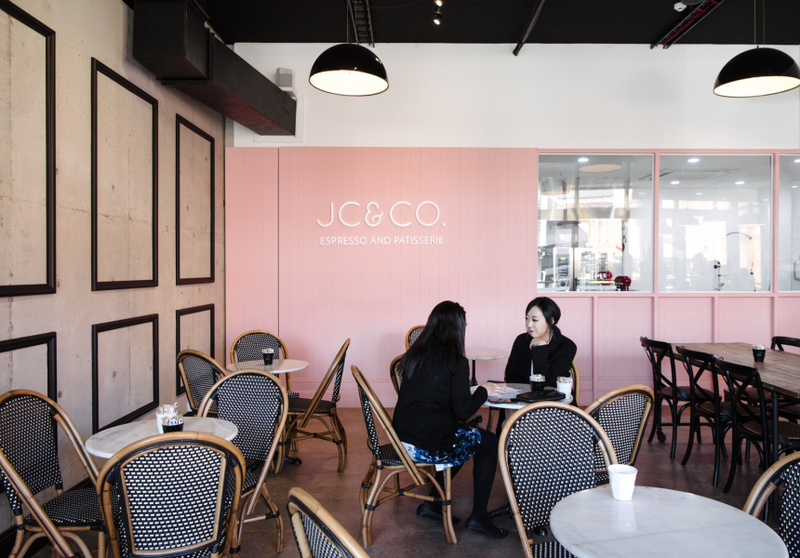 The JC stands for Jefferson and Cindy Lee, a husband-and-wife team who met while working for Serge Danserau at Bathers' Pavilion. Cindy did extra shifts with Andre Sandison, head pastry chef, to learn how to make éclairs, croissants and fruit danishes. Jefferson and Cindy ran Beanz Arabica cafe in Rhodes, serving house-made pastries to the lunchtime crowd. 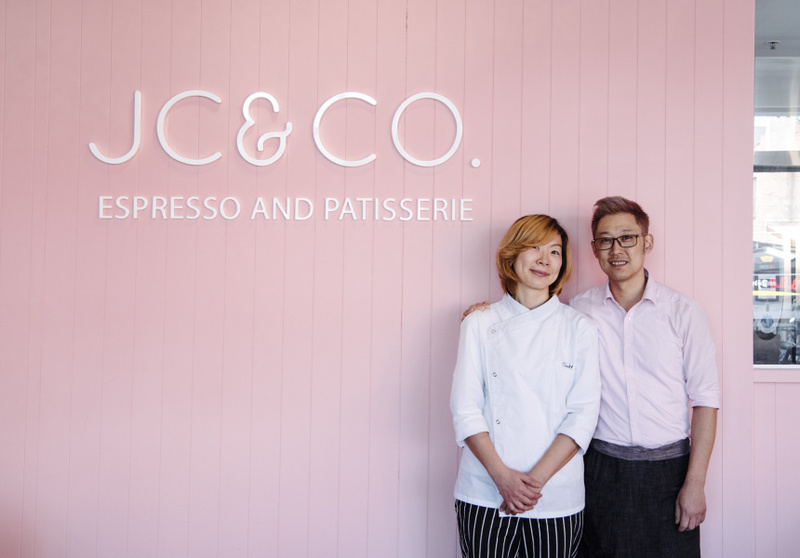 JC&Co is a chance for the pair to focus on sweets. The menu borrows flavours such as black sesame and yuzu from Korea and techniques from France and Japan. Tiny matcha macaroons are perfect puffs of almond. The baked cheesecake texture sits mid-way between airy Japanese and rich Italian styles. Flavours are light and contrasting, like in the Earl Grey Tea with Ruby Grapefruit Roll Cake. A few savoury options are available. The standout is a toastie made with Brasserie Bread filled with mozzarella and a slow-cooked pork-and-veal bolognese. Teas are from Tea Craft and T2. The Grounds’ signature green coffee cups can be found there – Jeff still rates the roast as the best after years serving it at Beanz Arabica. 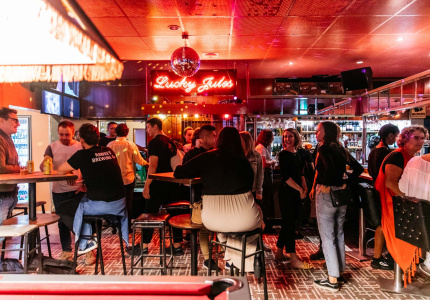 His experience behind the bar shows in his mocktails. Try the Passion Punch, a mix of passionfruit, watermelon, apple, lime and elderflower, or Cindy’s Homemade Lemonade or Ruby Grapefruit-ade for a sour contrast to the sweetness of the pastries. 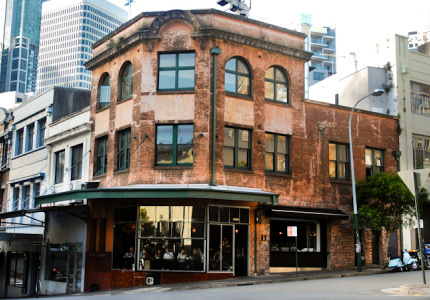 The cafe is down a side street and under an apartment building in Strathfield. 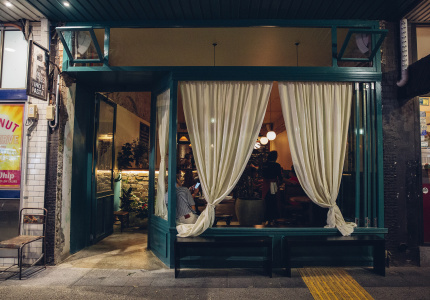 Pretty pink walls, French-cafe-style chairs and white plates covered in gold hearts give the cafe a dream-like feel.